Does it feel like you’re living your life, day-to-day, with many of your needs unmet? 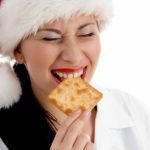 Do you think this may have something to do with your overeating or imbalanced eating? If so, you’re not alone. 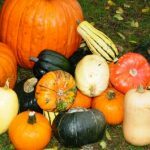 Many people, frustrated by years of unmet needs, find themselves regularly turning to food for emotional comfort, pleasure, soothing, escape, excitement and distraction. At any point in time, it’s normal to have some needs that are unmet. Perhaps close friends have moved away and you long for more nourishing, available local connections. You may be newly separated or divorced and short on good companionship and intimacy. Or maybe you have plenty of good connection with others in your life and yearn for more quality alone time–for self-connection, reflection and quietude. Maybe you yearn to be heard, understood, loved, validated, touched, valued and appreciated by family members, a significant other, peers or close friends. Perhaps your life feels stagnant and unfulfilling. Do you feel stuck in a rut and as if you’re just going through the motions? Do you long to have more purpose, meaning and passion in your life? Maybe you haven’t the faintest idea what you need or what would fulfill you–you just know you feel unsatisfied. And since you can’t just snap your fingers and have your needs immediately met, you settle for feeling full rather than feeling fulfilled. Clearly, the first step towards meeting your needs is to know what they are. You have to be able to identify a problem before you can solve it. And it’s important not to have any judgment in this part of the process. There aren’t good or bad needs. Just like there aren’t good or bad feelings. When getting clear on your needs, try not to get too far ahead of yourself by predicting that your needs can’t or won’t be met. Negative or pessimistic thinking only leads to a sense of powerlessness and hopelessness and more emotional eating. Stick with just identifying your needs. You may find that your current needs correspond to an earlier phase of development that you weren’t able to fully complete. Jane, age thirty-nine, needs a lot of understanding and validation from significant others in her life. She was regularly shamed and criticized as a child and continues to struggle with self-doubt. Karen, age fifty-two, needs a hug and reassurance from her husband when she feels unsure of herself. Her childhood sorely lacked affection, comfort and soothing. Susan, single again at age forty-five, feels she needs to “play the field” and not settle down. She never dated much in her younger years. No doubt, you deserve support, companionship, connection, care and a sense of meaning and purpose in your life. And at any point in time, you might find yourself coming up short in any of these departments.These are the times that provide the opportunity to practice the third step in meeting your needs: make regular contact with your Inner Nurturer. This is the wise, kind, unconditionally loving, understanding, soothing and comforting voice inside that can validate your needs and help you find creative ways to meet them. This is the part of you that can encourage you when there is no one else to turn to.This is the voice inside that can reassure you, give you hope and remind you that you are a good and worthy person. 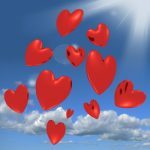 You may be much more familiar with the voice of the Inner Critic if you were raised by critical, judgmental caregivers. If so, now is the time to practice and strengthen your Inner Nurturer voice. Begin by writing down your thoughts about a need that feels unmet, and then write down comforting and encouraging statements using your Inner Nurturer voice. At this point, don’t worry about finding solutions; just get practice comforting yourself. 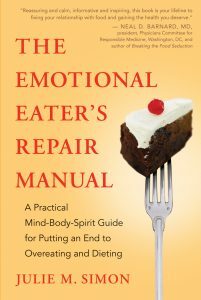 This will go a long way towards curbing your emotional eating. If you’re having trouble accessing your own inner nurturing voice, try on the voice of someone you find or have found nurturing, such as a therapist, mentor, relative or good friend. You may also want to consider joining a support group or working with a therapist or coach. This can be a great way of having regular exposure to nurturing others. The fourth and final step in meeting your needs: set your intention and commit to one baby step of action.Choose a baby step that is doable; one that you can definitely commit to. This baby step can be as small as intending to reread this blog article or to just make a list of your unmet needs. The key here is to set an intention and commit to some action. Setting an intention and following through on it builds self-esteem and confidence. And when you feel better about yourself and your life, you are less likely to turn to food for comfort. Which unmet needs are sending you to the refrigerator? 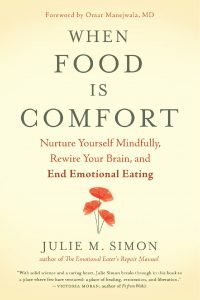 Posted by Julie M Simon, MA, MBA, MFT, psychotherapist and life coach, certified personal trainer, founder and director of The 12 Week Emotional Eating Recovery Program and author of The Emotional Eater’s Repair Manual and When Food Is Comfort. 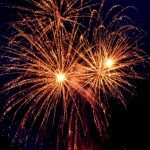 If you have a question or topic you’d like to see addressed in this blog, go to https://overeatingrecovery.com.